Upstate South Carolina’s largest and most respected water treatment company with a track record of quality service. EcoWater Systems is leading the way in water filtration and water softening technology. Ready to see what's in your water? 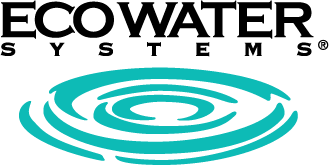 Well water or city water, we can help with any water analysis testing you need. If you're a homeowner and interested in a filtration system, take advantage of our FREE Analysis! We have many different types of water filtration systems for your home or business. Contact us today to learn more about our products! Need your water tested for specific bacteria? We can help you learn what is in your water. Call us today! Now servicing all makes and models of equipment! 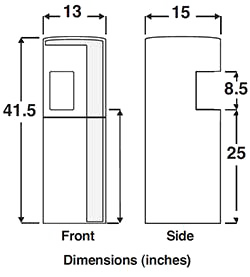 The EcoWater EEC 1502 is our line of two-tank, water conditioners. The image shows the product with the shroud kit option. Eliminate problem water for good. The ETF2300AIV is a chemical free system, with fresh air providing oxidation. The EPS 1000 is an easy to install, under-the-sink water filtration system. How does it work? 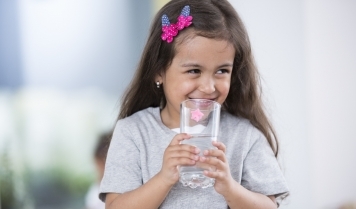 Household water is directed through a pre-filter where lead, chlorine taste and odor and sediment are reduced. The water then passes through the purifying filter where bacteria, cysts, viruses and volatile organic compounds (VOCs) are reduced. The only thing left behind is pure water and minerals that help improve the taste of filtered water. The newest bottle-less water cooler with integrated cup holder and no-touch, single dispensing faucet provides great tasting hot or cold water at the touch of a button. The built-in filter system provides an unlimited supply of fresh great tasting water when you need it, eliminating the cost and hassle of 5-gallon bottles. 2-temp, hot and cold dispenser with award winning design features that enhance the user experience while serving up to 40 people. The top-mounted control-panel is easy to see and operate while the taller fill opening allows for easy refills. 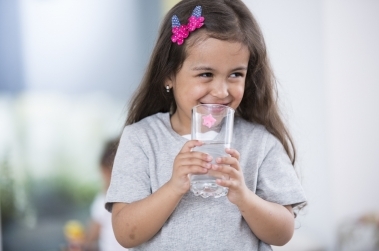 Not only can radon seep through your home from the ground, it can get in your water as well. We want to make sure your water is as pure as possible, and we can test it for radon. Radon is a common problem for showing up in well water. Call us today to schedule an appointment to get your well water tested for radon. For more information about drinking water quality and human health, please visit the EPA website by clicking here. Not generally considered harmful to humans or animals. May contribute to the corrosion of household appliances and plumbing. Excessive fluoride is a concern only when water is used for cooking and drinking. Children exposed to excessive amounts may develop white or brown spots on their teeth. Not considered a health hazard. Excessive hard water may cause reduced water heater capacity leading to a burn-out. Soaps won't lather. Excessively hard water will cause a hard, chalky scale to form when the water is heated. Speeds up the corrosion of metal plumbing materials. Rotten egg odor. Sulfur taste. No evidence to indicate the amount normally found in a well is harmful. Damage to brain, nervous system, kidney, and red blood cells. Pregnant women, fetuses, infants and young children are at a greater risk. Permanently stunt growth if children are overexposed during growing stage. Infants, pregnant women, individuals with reduced gastric acidity, and individuals with a hereditary lack of methemoglobin reductase. Causes severe oxygen deficiency and can lead to death for those at high risk. In babies: shortness of breath, blueness of skin. In healthy adults: relatively little affect, even when consumed at large quantities. A lifetime of drinking water with high levels of radium may increase the risk of certain cancers. Increases blood pressure that can eventually lead to hypertension. Temporary laxative affect may occur after drinking water when sulfates make up most of the TDS. Household plumbing and appliances will deteriorate faster. At normal levels, zinc is not a health hazard. In high concentrations (675 mg/l and above), zinc can act as an intestinal irritant, causing nausea and vomiting. Bitter, medicinal taste. May make water appear milky. When water is heated, elevated levels may produce a greasy film on the top of the water. The right product for your home is determined by testing your water, considering how many people are living in your home, understanding your normal water usage, taking into account the number of bathrooms you have, understanding the water-using appliances in your home, etc. "I'm writing to express how happy we are with our recent purchase of our EcoWater system. The only regret I have is not doing this years ago, wow what a difference in our water. We can finally drink and bath in our tap water without concerns of toxins being present, and it tastes GREAT!! Thanks to everyone at Ecowater of Greenville for making that happen." "Just wanted to say thank you to Ecowater of Greenville for a job well done. From the initial phone call to the installation of our filtration system and a retest of our water weeks later, the professionalism and promptness of everyone involved was a breath of fresh air. I would recommend these guys to anyone without hesitation." "I've been involved with the local Chamber of Commerce for many years. I had the privilege to meet Ecowater of Greenville at a local chamber event and requested a test of our well-water. They were extremely prompt, even showing up early on the day of installation, to make sure they would finish that same day, which they did! Our water is amazing now, thank you for going the extra mile to ensure that we were happy and satisfied. Would highly recommend this company!!!!" A simple and secure online dashboard provides appliance information at a glance, such as number of days until regeneration is due, cycle schedule, average daily water usage, water used today, and gallons of treated water remaining. With the information, homeowners can track water usage patterns and adjust habits to save water and money on utility bills. All systems are available in single, duplex, triplex, and quadplex operation.